Nigerian music is getting a lot of American celebrities happy as of late. The past few days has witnessed Lil Uzi Vert, Kodak Black groove to Davido’s music. Tory Lanez has also done covers of Wizkid’s ‘Soco’ and Davido’s ‘Fall’. Yet again another American artiste is under the spell of Afrobeats music. 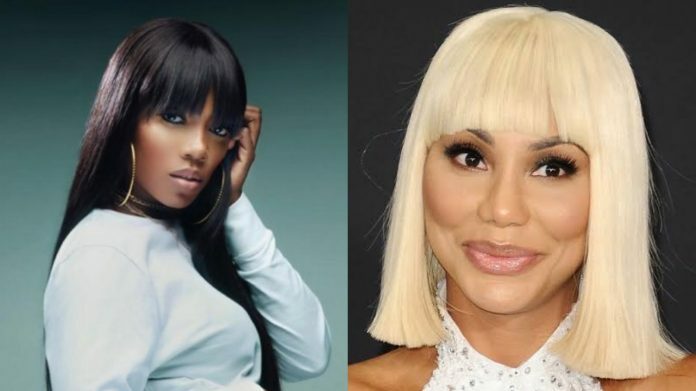 R&B star Tamar Braxton revealed that she is into Nigerian music, and it has nothing to do with having a Nigerian boyfriend. The ‘Love and War’ singer complimented Tiwa Savage and her music saying ‘she sings for the gods’. Besides Tiwa Savage, Braxton said she loves Davido, Wizkid, Tekno and PSquare. A while ago, Tamar Braxton booked a space on Davido’s upcoming sophomore album.